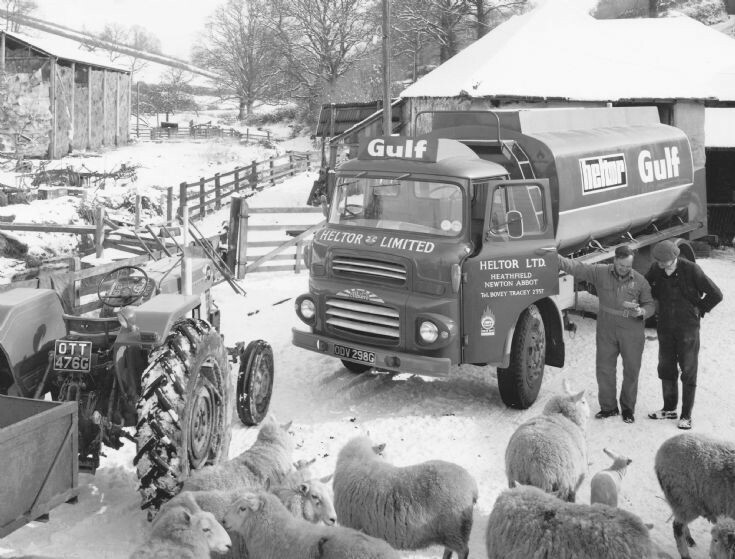 Albion tanker pictured when new early in 1969 near Dunsford, Devon. Added by Fazer9553 on 10 July 2011.
to bring out the best in a picture. Added by Andy Wilson on 11 July 2011. I am trying to find similiar ones in the archives as I still work for Heltor. I have taken many photos at work but didn`t take this particular one, when blown up it is possible to read the date on the tax disc! Added by Paul Wilkinson on 15 July 2011.